No one engineers quite like Mother Nature. That’s why so many scientists look to the animal kingdom to help overcome the limits of human technology. Here are seven pieces of bio-inspired technology you might not know about. In 2014, a group of Illinois-based scientists created an octopus-inspired camouflage material that can change colors to blend in with its surroundings. Just as octopuses and other cephalopods can take on different shades in order to match their environments, the material can “sense” the colors around it, adjusting the color of the dye inside it to match. While initial prototypes only worked in grayscale, the researchers are working on creating a model that would be able to match colors. While sharks’ skin may look fairly smooth from far away, it’s covered in tiny ridges that make it impossible for barnacles, algae, and other organisms to latch on to it. The same principle that keeps algae off of sharks is now being used to combat hospital germs. A Colorado-based research company uses a patented, microscopic texture pattern designed to mimic shark skin to lower infection rates. It makes germ-repellent catheters, wound dressings, and more. Lobsters have evolved to see through dark, murky waters on the ocean floor. Their sensitive eyes have inspired better x-ray imaging that can drastically widen telescope views of the sky and even detect objects behind walls. Lobsters eyes contain cells that capture tiny points of light from many different angles, later combining that information into a single image. 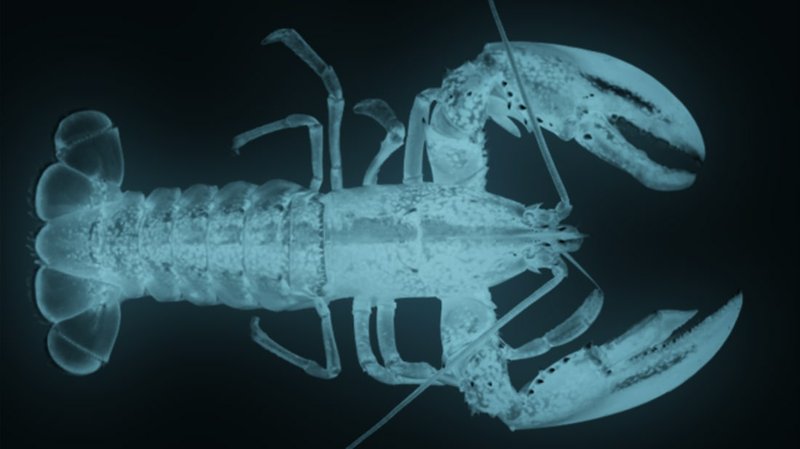 Lobster-inspired optics mimic this eye function to collect more data than the average x-ray. Geckos can scramble up smooth walls with no effort thanks to their toe pads, which are covered in tiny bristles that are in turn covered in even tinier bristles. Several different research groups are working on harnessing the gecko’s adhesive powers for human use by mimicking the structure of their toe pads. One California-based research team has created a glove covered in tiles that can support up to 200 pounds, allowing a person to climb up a wall. Another bio-inspired adhesive company boasts that an index card-sized piece of their gecko-like material can hold up to 700 pounds on a smooth surface like glass. A parasitic fly is helping create a hearing aid that allows its wearers to pinpoint the direction of different sounds, helping people better differentiate sounds from echoes. The fly in question, Ormia ochracea, hones in on the origin of cricket chirps by a link between its ears which vibrates and tips toward the direction of the sound. The hearing aid inspired by Ormia ochracea also has two microphones linked by vibrating membranes. The Namib Desert beetle deals with its dry habitat by turning fog into liquid water that rolls off its back and into its mouth. In January, scientists debuted a new material designed to wick moisture from the air in a similar fashion. Modeled after the water-harvesting texture of the beetle’s back, the material features bumps that help turn condensation into larger water droplets more quickly. Unlike the flippers of say, a dolphin, the front of humpback whales’ flippers are bumpy, not smooth. These tubercles make the whales more agile in the water by changing how pressure is distributed. A Toronto-based wind power company is using whale-inspired designs to make quieter, more efficient wind turbines that work even in turbulent air. Scientists and engineers continue to draw inspiration from the world around them while working to make the impossible possible. Click here to see what the future may have in store for animal-inspired technology.